We have feedback buttons, social media channels, live chat support... we love to hear from our visitors, because it helps us make LTW the best it can be. We care a lot for your feedback! There's a problem with feedback, though. Most people will tell you what they DO NOT like. Very few people give feedback when they actually DO like something. 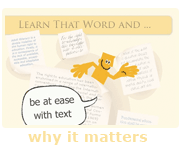 For the last eight years we had been listening to people who wanted LTW's adaptive, personalized vocabulary tutoring, yet without the spelling component. Making an intelligent multiple-choice/matching quiz for a data foundation of 180,000 words was, as can be easily imagined, a substantial challenge, and took a great development effort. I will share some of the unique difficulties we had to overcome in another blog. So when we finally launched the new vocabulary quiz alongside our traditional spelling quiz, we were excited -- and surprised by the outcry of our members! Shows that the OLD vocabulary quiz had a solid fan following, and chat, email, and phone lit up! Luckily, the old functionality had been preserved and could easily be resurrected. Now you have the choice between the free vocabulary quiz and two additional quiz forms with spelling integrated. In the new/old Combo quiz, you are first challenged to choose the right word based on definition and sample sentence and actively enter it in the text field. If you manage to get it right without listening to the audio, you earn an extra bonus word nugget for more rewards. Not a premium member? 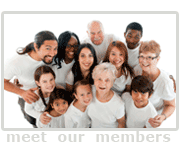 Every free member gets 5 Pay-Per-Result tokens at sign up. Take a few premium quizzes and check it out! 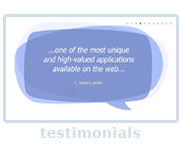 Posted by Rosevita Warda in LearnThatWord, our members and tagged feedback, web development. paragaph аt at tis plɑce.